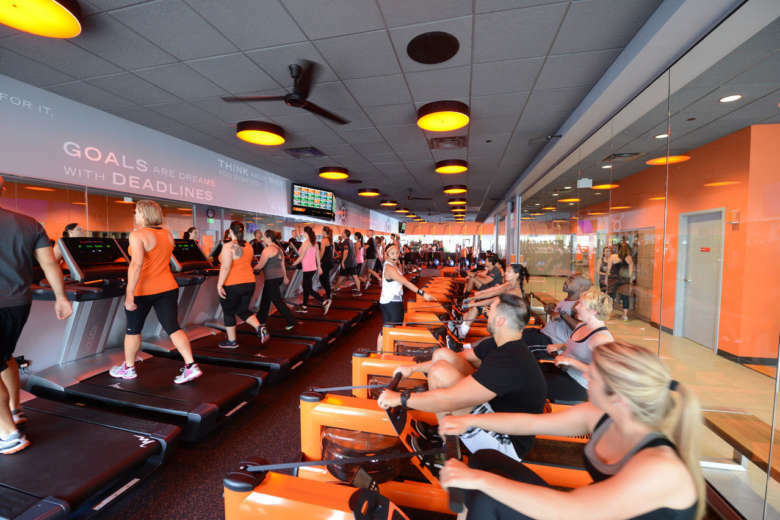 Orangetheory Fitness, known for its intense 60-minute workouts, will open its newest Washington area fitness center in the 700 Penn development. 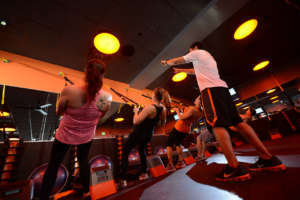 WASHINGTON — Orangetheory Fitness, known for its intense 60-minute workouts, will open its newest Washington area fitness center in the 700 Penn development. Stanton Development and Eastbanc Inc. said Orangetheory has signed a lease for 3,750 square feet of studio space, at the Hine School redevelopment project located at 330 7th St., S.E. It will open this summer. Its full-body, group personal training workouts focus on endurance, strength and power through a variety of equipment including treadmills, rowing machines, TRX suspension cables and free weights. The “Orange Effect” is designed to maintain heart-rate based training that maintains a target zone stimulating metabolism that keeps burning calories for up to 36 hours after the workout. “We are excited to come to Eastern Market and join a great host of neighbors at 700 Penn,” said George Leppert, managing partner of Leppert Holdings and owner of D.C.’s Orangetheory Fitness locations. “We are dedicated to provide our fun, scientific approach to fitness to the Capitol Hill community and to those who are looking to try an innovative workout in the Eastern Market neighborhood,” he said. It will be Orangetheory’s 10th D.C.-area location. It has other studios in Rosslyn, Clarendon, Pentagon City, Ballston, 14th Street, Mount Vernon Triangle, Navy Yard, Tenleytown and Potomac Yard, with another coming to Foggy Bottom. 700 Penn includes a 156,000-square-foot office building, 162 apartments and 60,000 square feet of retail. Other tenants include Trickling Springs Creamery, Antiochia, District Veterinary Hospital, Jrink, The Yard: Eastern Market, Nailsaloon, STEM Preschool and Trader Joe’s.